Which monster left the freaky footprint behind? Which shadow belongs to the vampire bat? Which elephant in the herd is the odd one out? 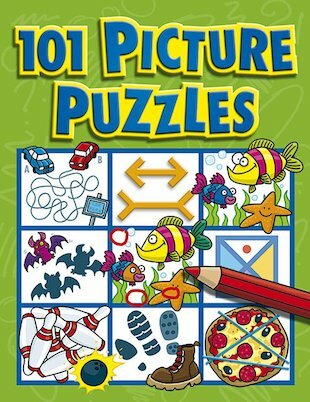 Sharpen your eyes and solve 101 brilliant brainteasers in a cool picture puzzle format. They don’t just sharpen your mind and train your observation skills: they’re full of comical cartoon artwork to get you chuckling too! this is a good book i enjoyed so much! A fun book to take on holiday or for long car journeys. It contains lots to keep you amused.